Dead Poets Society is considered by many to be the crowning achievement of Robin Williams career. There is no dispute over Williams performance, as it is considered to be one of the best of all time, and the film is so revivered, that it's require viewing in many education classes, but just how good a film was it? Robin Williams stars as Professor John Keating, an unconventional teacher who inspired his students to push the boundaries of the way they think. Keating's students worship him and reform the old club he was a founding member of as a student, The Dead Poets Society. Keating's unconventional thinking pushes his students, but the question is will it push some of them too far from the norm, at their strict boarding school? The performances makes this film, as you will see some amazing things. As for the story, it really isn't anything more than a means to present the characters. When you take away the performances, the truth is that this film is about a traditional boarding school, an English class, and a poetry club, not the most interesting of stories. 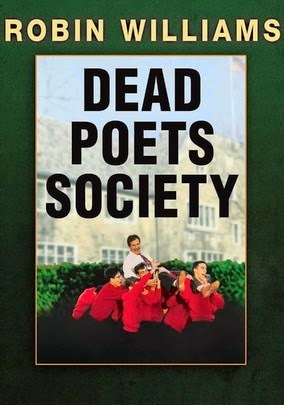 Dead Poets Society is rather slow moving and one begins to question just how meaningful a club like this would be, especially in today's digital world. When it comes to Dead Poets Society, I loved the performances, but wasn't crazy about the film as a whole. I think the storyline is lacking, the characters aren't as unconventional as they could have been, and things move much too slowly for mainstream audiences. That being said, if you are a movie lover, this film is like It's A Wonderful Life and Citizen Kane in that it may not be the best of films, but it is a part of cinematic history that must be scene for it's undeniably outstanding performances and it's contribution to the history of film.